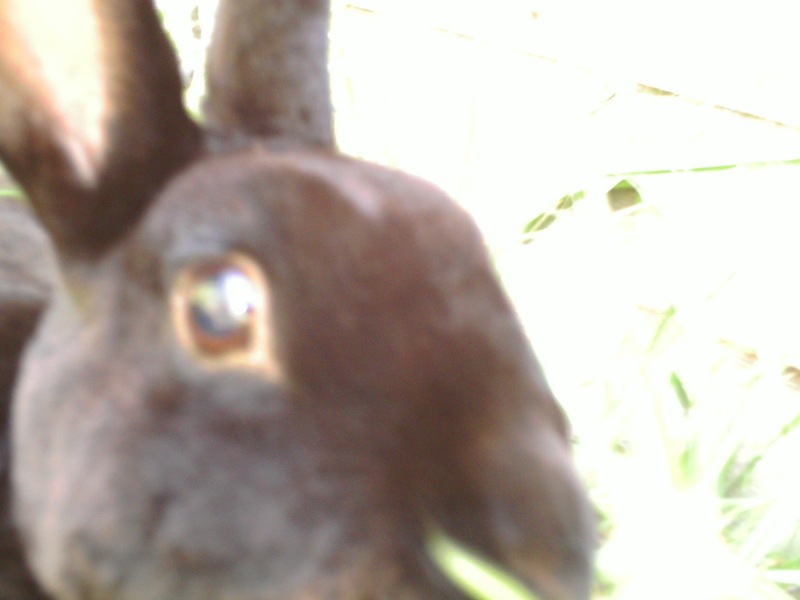 Turns out the rabbit wasn't depressed after all, she was ill. It was very peaceful and calm. She just fell asleep. and I then fell into raving hysteria. I've cried so much my face looked like I'd had some internal air-bags go off. How could I cry so much it was only a rabbit? but she wasn't a rabbit to me she was my friend. A lovely little creature that gave love and affection and never wanted anything back in return. I've been stuck at home for so many years I had spent alot of time with her. I could talk to her and she never answered back. It was an amazingly useful relationship at a time in my life when every human had begun to annoy me. She was my first pet. I had only had goldfish when I was growing up, which are, lets face it - boring! We got the rabbits when the children were small. But as every parent knows they quickly became our pets as the novelty soon wore off. They were two girl rabbits named Daisy and Trouble. But a few months later it turned out Daisy was a Derek and Trouble was actually in trouble. Trouble had 5 babies rabbits which we re-homed bar one - We kept Sweep because she was the runt of the litter and really needed looking after. Sweep was a walking 4 legged accident waiting to happen. You shouldn't laugh but when the rabbit's were all let out to play in the garden, mum and dad (Daisy and Trouble) would run across the garden at high speed jumping and kicking their back legs in glee and Sweep would run head long into the fence. Then she would would just sit looking dazed for a while until mum or dad came and looked after her. Throughout the years we would hear a loud thump or crash and all say simultaneously "Sweep!" Unlike her mum n dad Sweep wasn't friendly and would growl if you tried to stroke her "who do you think you are a bloody dog" my husband would laugh at her. Daisy died a couple of years ago, closely followed by Sweep. Very sad but according the our rabbit breeder friend it was quite common and they had had a good innings. Trouble had just kept going. The breeder said she was the equivalent of an 110 year old lady. I may need therapy.....I've coped with a child with OCD and a child with cancer and the rabbit dying has pushed my over the edge W.T.F.